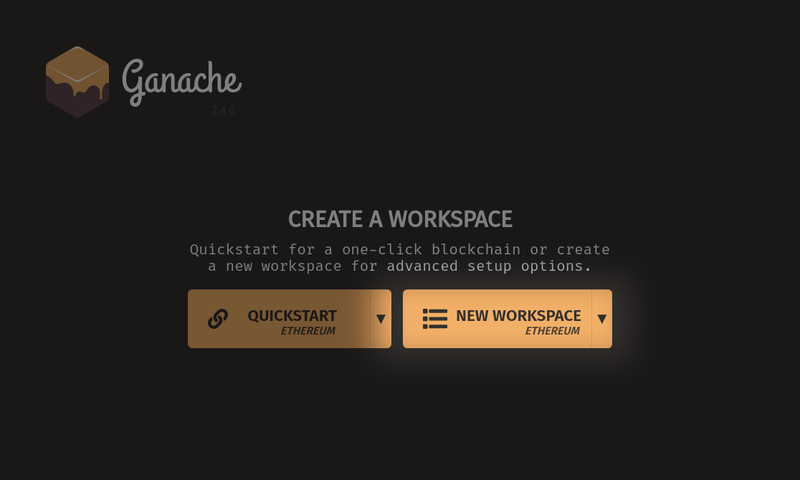 The Quickstart workspace is great for getting a development blockchain up and running instantly, but for Truffle projects already in progress, or users who need custom configurations, we provide two ways to create a full workspace. 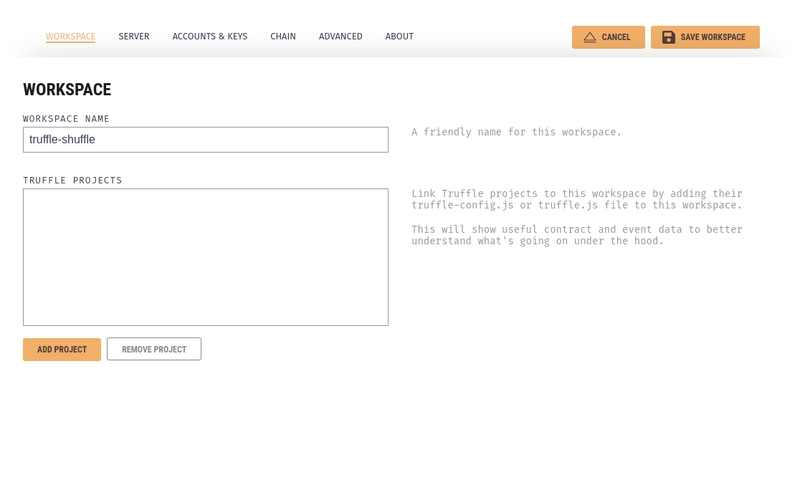 See Saving the Current Quickstart Blockchain as a New Workspace if you've already created a Quickstart workspace and are ready to add Truffle projects or make customizations. If you're starting fresh chec k out Creating a Workspace from Scratch. As mentioned above, the Quickstart workspace resets the blockchain on every restart. 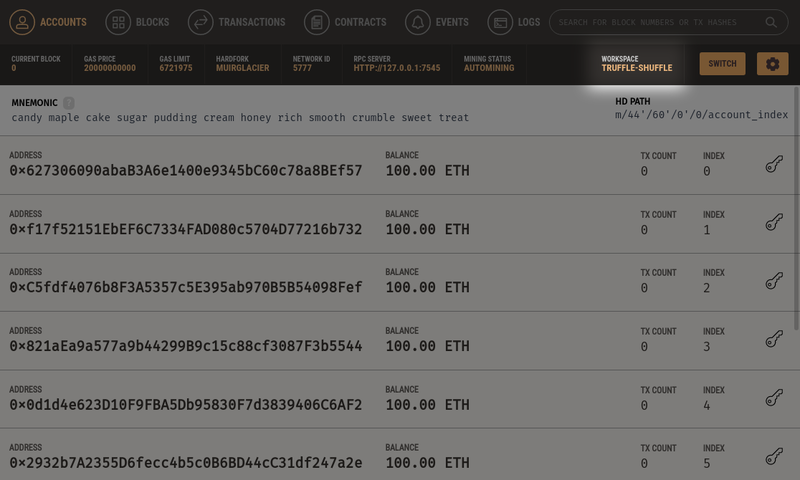 Perhaps we found ourselves prototyping in the Quickstart workspace to try out a couple of things, but then we want to save the blockchain as a new workspace for later recall. To accomplish this, click the SAVE button near the upper right of the screen when in the Quickstart workspace. You will be taken to the options screen to configure your workspace. You can also create a workspace from the home screen. Clicking the NEW WORKSPACE button on the home screen will take us to the options screen to configure your workspace. A workspace name will be randomly generated for you, but you can go ahead and change it. You can also change any of the other configuration options. When you're ready to start the new workspace, click SAVE WORKSPACE in the top right corner. You will be taken to the accounts screen. Notice the name of your new workspace near the upper right.